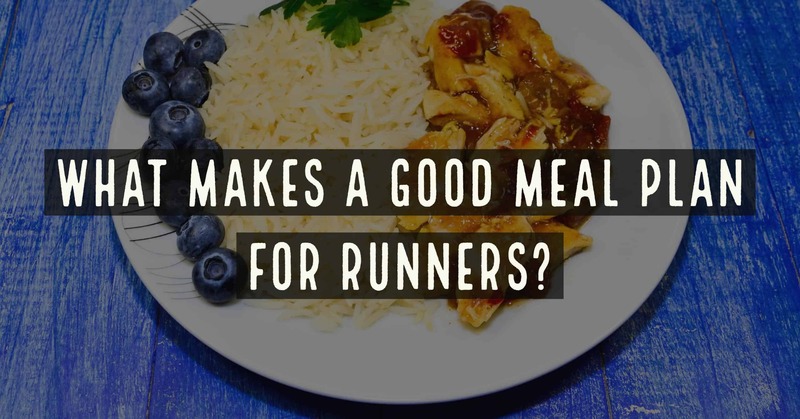 →What Makes a Good Meal Plan for Runners? From experience, I can confidently say that some runners have some of the worst eating habits. Most athletes think that they can get away with eating anything. But that is far from the truth. If you are such a runner, you need to change. Sorry to be so blunt. The good news is; hopefully we can share a few ideas to get you headed in the right direction. My Fitness Pal describes a meal plan as an eating schedule detailing the foods and food quantities to consume as well as the eating times. It is developed depending on the target desired. It is simply a diet roadmap that seeks to promote healthy, goal-oriented eating. This means that losing weight, running, bodybuilding, or any other form of sport calls for a situation-appropriate meal plan. As a runner, therefore, failing to have a meal plan is planning to fail. All the professionals do it. You should too. NUTRIENTS THAT SHOULD BE ACCOUNTED FOR IN A MEAL PLAN. Proteins are digested into amino acids. The body utilizes amino acids for making, repairing, and maintaining muscles, tissues, hormones, etc. In a nutshell, proteins are the body’s building blocks. Carbohydrates are the body’s primary energy source. 55-60% of the calories the body burns for energy should come from carbs. There are two types: complex carbohydrates e.g. starch and simple carbs e.g. sugars. The main difference between the two is that complex carbs release energy into the bloodstream slowly while simple carbs release energy into the bloodstream at once. Complex carbohydrates are healthier and preferable since they do not spike blood sugar levels. Fats can either be saturated or unsaturated. Animal food products contain higher levels of saturated fat while vegetables and fruit based foods contain more unsaturated fats; unsaturated fats are healthier. Fats facilitate the absorption of some vitamins and the production of certain hormones. Moreover, they protect delicate organs such as the heart in addition to playing a critical role in hair and skin maintenance and nourishment. Vitamins facilitate the body’s chemical processes. They are 13 in total. Examples include Vitamins A, B, C, D, E, K, etc. The best way to ensure consumption of all necessary vitamins is through having a balanced and varied diet. Minerals are involved in food absorption in the intestines, bone formation, blood clotting, blood circulation among a host of other important roles. They include calcium, potassium, zinc, manganese, phosphorus, iron, magnesium among others (full list). Runners and sportspersons require copious amounts of water due to their high rate of water loss through sweating. Experts recommend drinking 50ml of water per every kilogram of body weight. What Makes A Good Meal Plan For Runners? - FOOD EXAMPLES TO INCLUDE IN YOUR MEAL PLAN. Fish, meat, eggs and alternatives: Beef, lentils, pork, turkey, chicken, soy, lentils, black beans, kidney beans, sardines, tuna and fish in general. They will provide protein, “good” fats, vitamin B, zinc, iron, magnesium and other minerals. Eat protein foods three times a day or more. Remember, runners need 50% more protein compared to other people. Cereals, tubers, whole grain products: Rice, couscous, Irish potatoes, sweet potatoes, plantain, corn, pasta, whole grain bread, etc. The will provide carbohydrates, iron, fiber, calcium, and B vitamins. They should be a central part of your meals. According to nutritionists and the dairy council﻿﻿, they should form a third a third of each meal. Vegetables and fruits: Banana, apples, pears, papaya, avocado, pineapple, oranges, kiwi, grapes, blueberries, lemons; peas, French beans, broccoli, cabbage, kales, spinach, lettuce, beets, etc. They will provide carotenes, fiber, folate, iron, calcium; vitamin A, B, C, E, carbohydrates among other nutrients. They should be consumed 4-5 times a day. Cheese, yogurt, milk, groundnuts, cashew nuts, coconut, macadamia nuts, etc. They will provide protein, Vitamin B-12, phosphorus, calcium magnesium, iron, and other minerals. Eat dairy products or nuts three times a day. They are particularly ideal for snacks. MEAL PLAN/HEALTHY EATING PRINCIPLES YOU SHOULD ADHERE TO. According to research, you should eat three square meals a day: breakfast, lunch, and dinner. Also, snack in between meals to keep the body in an anabolic state which facilitates recuperation. Viable snacks include a handful of nuts, yogurt, banana, fruit pudding, etc. All square meals should have protein, carbohydrates, vitamins, fats, minerals and water. Because you will be snacking in between meals, portions will have to go down a notch to avoid overeating. Variety is important if you are to consume enough minerals and vitamins. Make your meals as varied as possible depending on what is locally available. In your meal plan, include at least two helpings of fruit a day. You can eat fruits as dessert during or as snacks. Take one day off a week and eat all the unhealthy foods you crave. It will help keep you motivated. You will also be pleasantly surprised to discover that unhealthy food cravings reduce over time as you stick to healthy eating. According to strengthrunning.com, as a runner, the foods in your refrigerator should be as minimally processed as possible. Ditch the processed meats, sodas, white bread, ice cream, frozen fries, etc. There is nothing I can say to make you quit smoking if you have not quit already. Alcohol, on the other hand, is bad for the liver and bad for performance. Despite that most runners LOVE wine or beer, it d﻿﻿ehydrates the body making it less than optimal hydration reduces track performance by a staggering 20%! There is nothing I can say to make you quit smoking if you have not quit already. Alcohol, on the other hand, is bad for the liver and bad for performance. It dehydrates the body, and less than optimal hydration reduces track performance by a staggering 20%! The video below is quite boring however it does have some really great points. Ditch the peeler. Stop peeling your sweet potatoes, apples, pears, mangoes, etc. The peelings contain antioxidants, fiber, and nutrients that reduce predisposition to diseases and improve digestion and general body health. WHAT MAKES A GOOD MEAL PLAN? The meal plan below is a simple to follow plan and takes into consideration the above principles of a balanced diet. Two hardboiled/scrambled eggs with assorted veggies and avocado. A beer/bowl of ice cream. Drink 2 glasses of water with each meal (spaced out) and also in between meals. Should ideally cover a week (at least). Should include foods in season. What makes a bad meal plan? A meal plan with too many options. A meal plan that does not factor in your energy needs based on your body size. ​A meal plan that does not factor your running frequency. A meal plan with many foods you do not like. A meal plan with expensive foods. If it seems like making a meal plan is too much for you, there are numerous eating schedules online you can adopt. Alternatively, seek the services of a nutritionist. You should have a separate meal plan when you have an upcoming marathon. Change your plan at least every 2-3 months. Fast recovery and high performance: Recovery and performance are directly a function of your diet’s quality. Reduced soreness: According to runnersworld.﻿﻿com, a proper meal plan that includes seafood facilitates fast recovery since research has proven that omega-3 fats have anti-inflammatory attributes. 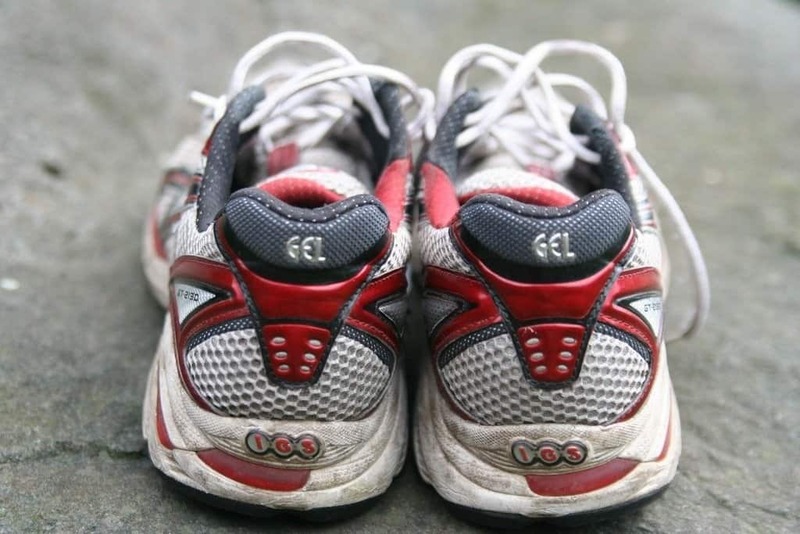 Disease protection: Running is taxing to the body. If not coupled with a meal plan that provides the requisite nourishment, immunity drops and you open yourself up to a host of diseases. Reduced food wastage: According to wellnessmama.com meal planning reduces food wastage and helps you save. If you want to shave dollars off your budget, having a meal plan is the answer. Clean out your food shelf and refrigerator - Take action and get rid of all over-processed foods that have no place in your meal plan. Be accountable to someone - Talk to your husband, children, running team, or anyone you respect concerning your decision to stick to a meal schedule. Anytime you are about to veer off course, they will help keep you on track. Above all, have fun with your food. Use new recipes, experiment with new spices, steam your veggies today, fry them tomorrow. Try new meats, try new cuisines, and just focus on having fun and being adventurous with food. Also, I found Fully Raw﻿, a YouTube channel, to be particularly instrumental in teaching me creative ways to cook and add a twist of fun and flavor to vegetable dishes.